Chamba is a charming city situated at the end of the valley bearing the same name, located in the Northwest of Himachal Pradesh. 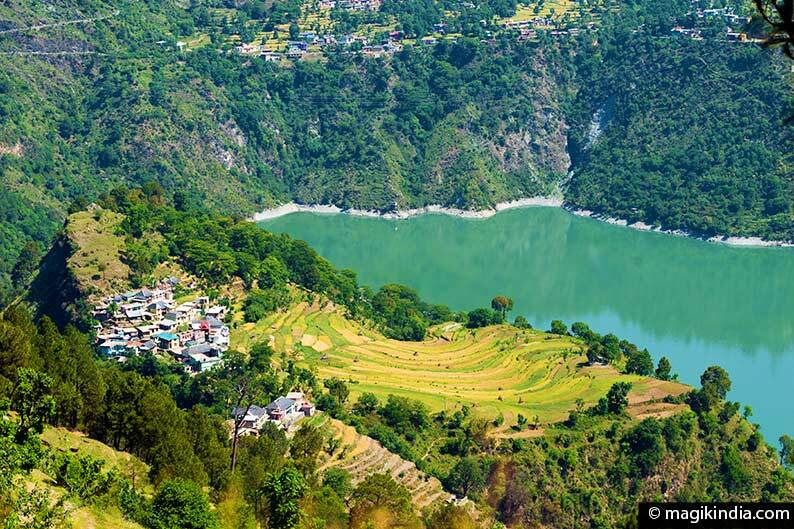 The city lies on the banks of the River Ravi, which is nestled between two peaks of the Himalayan Shivalik Range. 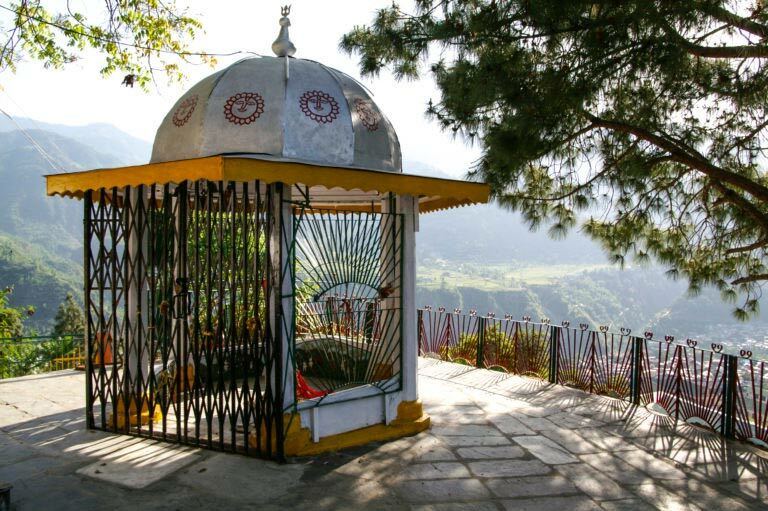 This millinery town is not a popular destination amongst tourists who prefer Dharamshala or Manali further south, and yet, Chamba surprises with its magnificent temples, which reflect the opulence of the Rajput kings from the medieval period. The beauty of the surrounding landscape is also another plus which can lead us to discover this city. Chamba is a wonderfully interesting stop for those travellers looking for a change of scenery, and is a city for both lovers of historical monuments and experienced trekkers alike. The history of Chamba begins in 920AD when Raja Sahil Varman transferred the capital of his Kingdom from Bharmour to Chamba. The city was named in honour of his daughter, Champavati. The Varman dynasty, belonging to the Rajput Surajbansi clan, began much earlier in 670AD with Raja Maru Varman who, at the time, reigned his kingdom from the ancient capital of Bharmour, located 65km from the city of Chamba. From this same dynasty, there was a succession of reign without interruption of 67 kings. The Chamba dynasty ended a 1000 years of rule in 1948 with the integration into the Indian Union. A truly exceptional longevity considering the turbulent history of India. During the reign of the Varman kings, principally Raja Sahil Verman, they built two palaces (which are now converted into government buildings) and astonishing temples on the lower slope of the Shah Madar hill. The river and the steep, wooded hills, formed a solid defence. 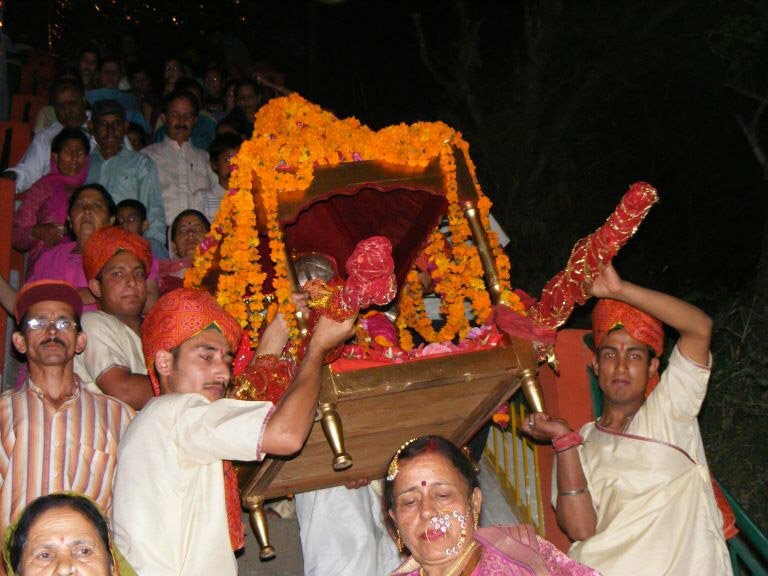 The city of Chamba organises two major festivals each year: The ‘Sui Mata’ festival in March-April, which honours the Queen Sui, who gave her life to bring the rain back to the valley (see below). 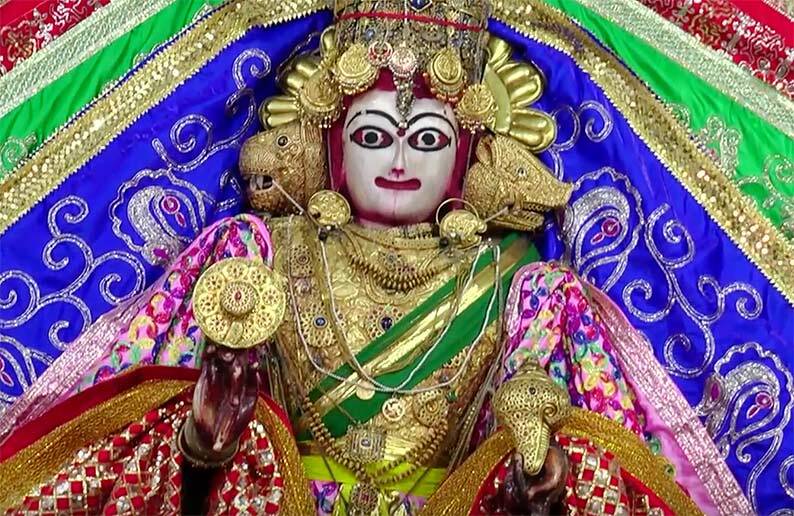 This queen-deity is mainly worshipped by the women of Chamba and, during the festival, her icon is transported from the ancient palace to her small sanctuary at the top of the hill, this is accompanied by singing and dancing. Minjar (literally ‘maize flower’) is the other important festival of Chamba. It is celebrated in late July or early August according to the Hindu calendar and it lasts a week. The origin of this festival dates back to the 10th century AD and marks the harvest season. On the first day, the inhabitants of Chamba pin a replica of the maize flower made of golden silk threads, onto their clothes. 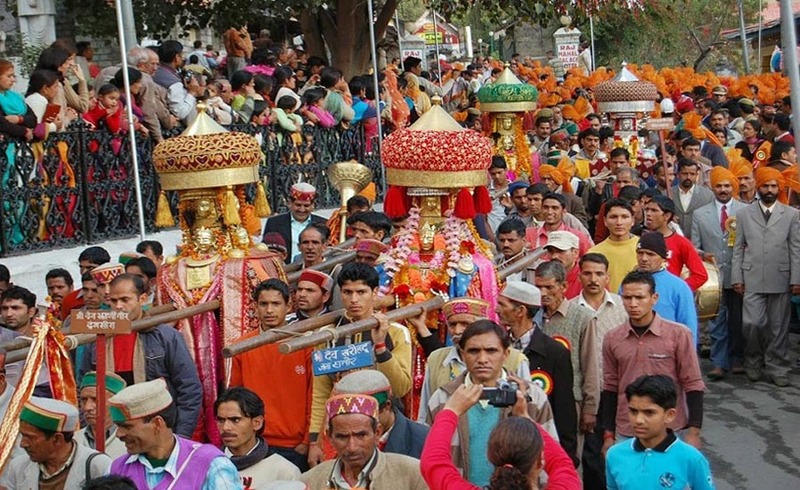 The festival culminates with the final procession of palanquins carrying the different deities, including Raghuvir (an avatar of the god Rama) and are brought to the banks of the river Ravi. Officials then offer a pouch (lohan) to the river which is made of red cloth and it contains a coconut, one rupee, a seasonal fruit and a minjar, this is then followed by all the inhabitants throwing their own minjars into the river. Although less popular with trekkers, the spectacular Chamba Valley offers a selection of treks ranging from moderate to challenging. 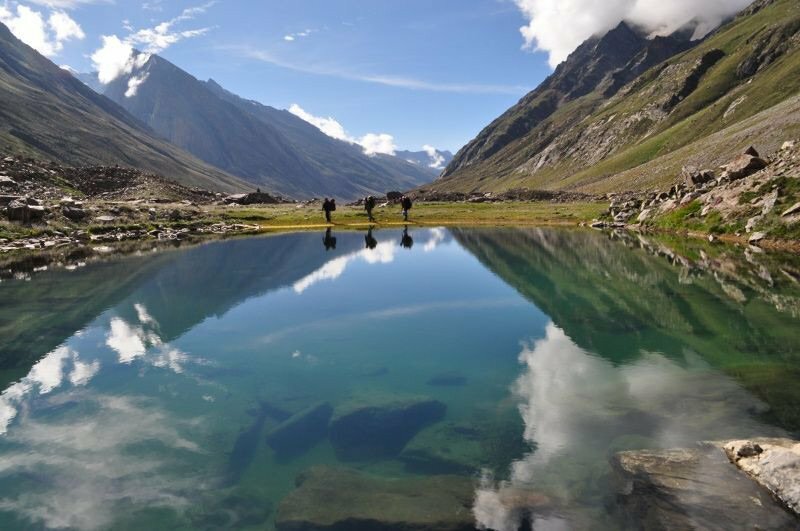 The three-day trek from Hadsar to the lake Manimahesh is one of the most popular destinations. The Manimahesh Kailash massif, with its permanent glaciers, magnificently overlooks the lake and, on a clear day, it is possible to see Mount Kailash to the north; the Hindu faithful who make this pilgrimage trek consider themselves blessed if they see the top of the abode of the Lord Shiva as the summit is usually masked by low cloud. The Kalichho Trek (4,990m – 6 days), ‘the abode of Kali’, for more experienced or adventurous trekkers, starts in Bhamour and ends in the village of Triloknath, its ancient temple is sacred for both Hindus and Buddhists. Whilst Hindus worship the Triloknath deity as Shiva, Buddhists regard it as the ‘Arya Avalokiteshwar’ Buddha. And now let’s start the visit! 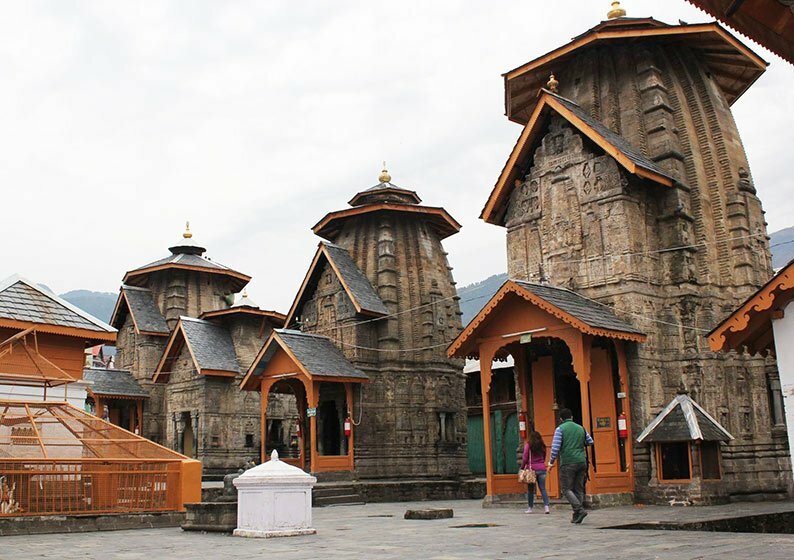 We begin the visit to the temples of Chamba, and to one considered to be the most sacred and the oldest: Lakshmi Narayan temple.It is reached by foot through the busy streets of Dogra Bazaar. The eagle, or ‘Vahana’ (the vehicle of the god Vishnu) sits upon a column, marking the entrance. Lakshmi Narayan is actually a complex of six temples which are dedicated mainly to the Hindu gods Shiva and Vishnu. The main temple stands at the entrance to the complex and houses a white marble statue of Vishnu. The temples were built during the reign of King Sahil Verman in the 10th century, in the Nagara (North India) architectural style with a shikhara (tower) and they have been embellished by the consecutive kings of this same dynasty. 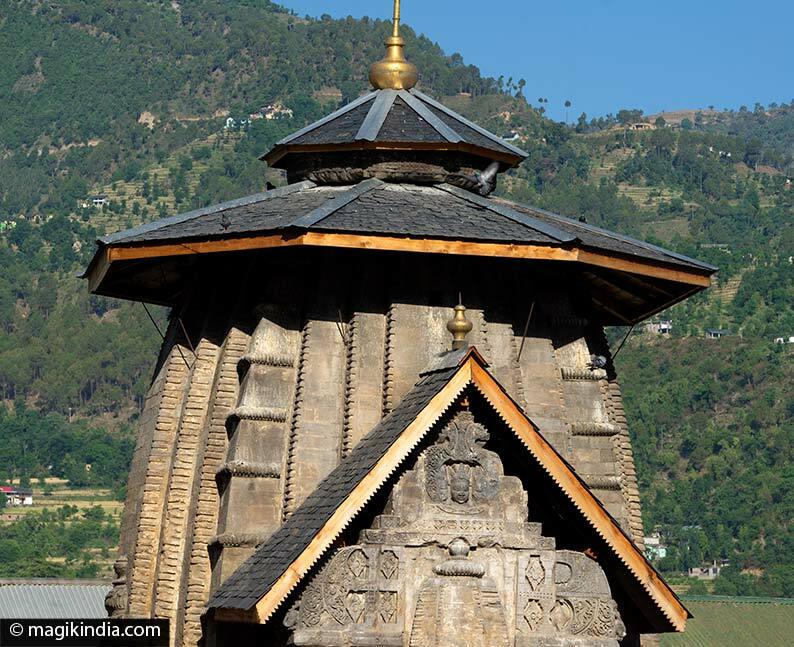 Most of Chamba’s temples have double-layered wooden roofs in the shape of an umbrella that are designed to protect the monuments. This is to guard against the climatic conditions of this mountainous region where snowfall is frequent and heavy. 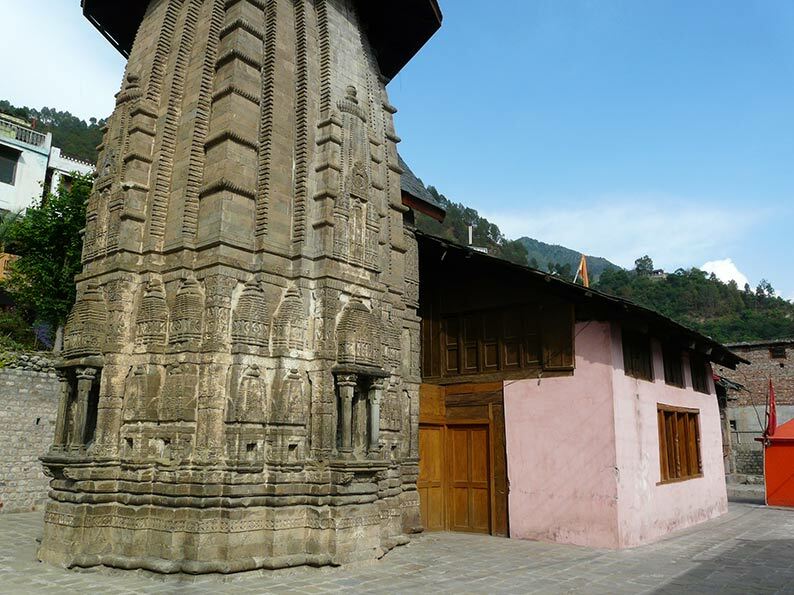 Another important temple in Chamba is the one of Champavati. It is located behind the police station and in front of the hotel where I was staying. Legend has it that King Shahil Varma’s daughter was very pious and would visit spiritual places on a daily basis. 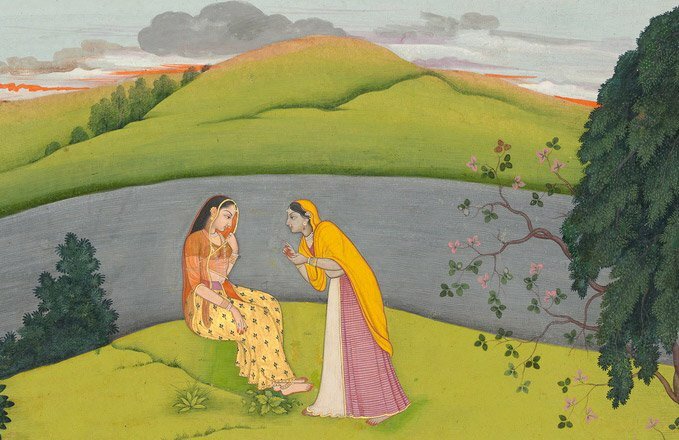 The king, seeing his daughter going away so often, became suspicious and followed her to the ashram of a Sadhu (monk). When he reached the ashram, he found neither his daughter nor the Sadhu. But, he heard a voice telling him that his daughter had been taken away to punish him for having not trusted her and, to avoid a new plague to his descendants, he had to build a temple named after his daughter. It is said that this is how the Temple of Champavati came to be built. 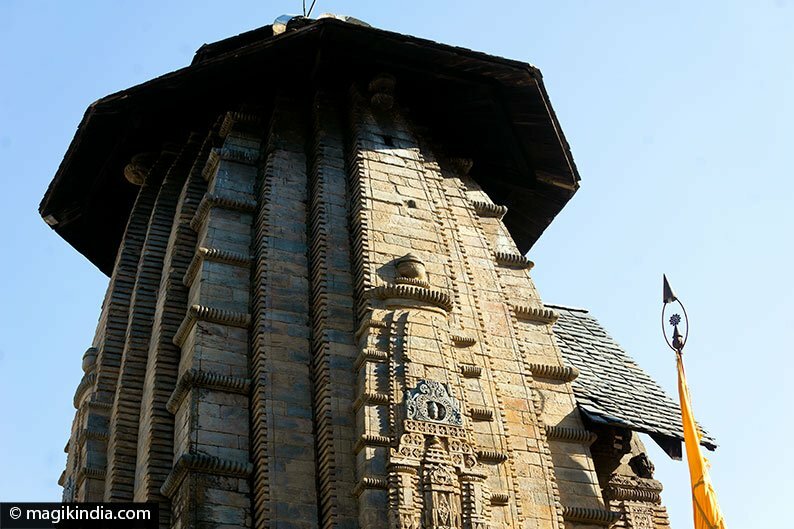 This temple also includes a shikhara, built in the Nagara style with, like the other temples, an umbrella-shaped roof. The entrance to the square sanctorum is guarded by two lions telling us that this temple is dedicated to Shakti, the feminine force. The temple houses an idol of Mahisasuramardini (the goddess who killed the demon Mahishasura, an avatar of the goddess Durga). The temple of Hari Rai, also called Vishnu Temple, is located near Chaugan’s red gate. It is unfortunately sandwiched between the buildings of the British Raj, an intertwine of wires and the city’s fire station. That said, this 11th century temple, built on an elevated platform, is worthy of a look. It houses a bronze statue of Vaikuntha Chaturmurti, an avatar of the god Vishnu with four heads: a human head, a lion’s head, a boar’s head and a demonic head. 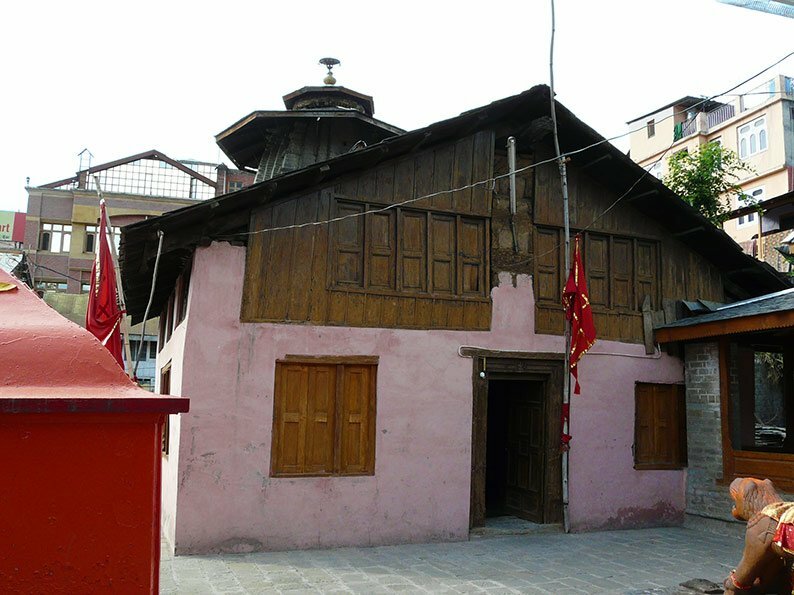 The Bhuri Singh Museum is located in the heart of the city of Chamba. 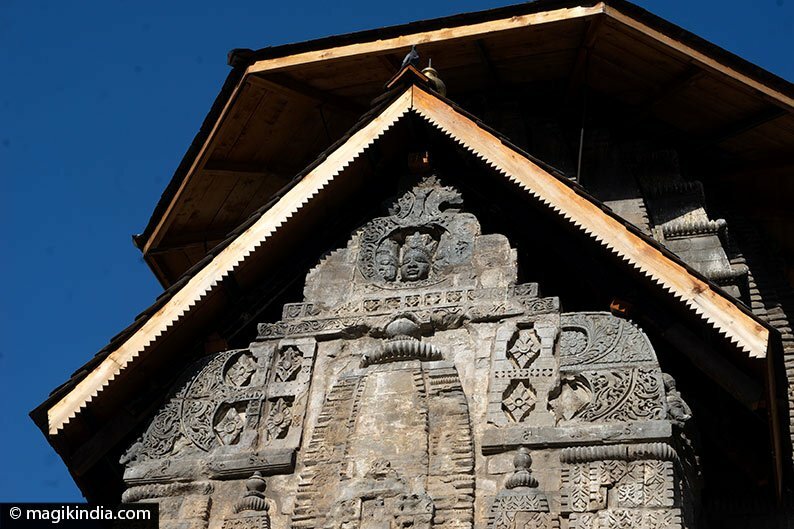 It was founded in 1908 to collect and preserve the scattered cultural heritage of the Chamba Valley. The history of the museum began when Raja Bhuri Singh, the then ruler of Chamba, donated his personal collection of works of art to the city. The museum has a remarkable collection of more than 8,000 antiques relating to the arts, archaeology, crafts and anthropology. One can also admire the ancient Pahari miniature paintings of the Basohli school, which show scenes from the Ramayana epic. 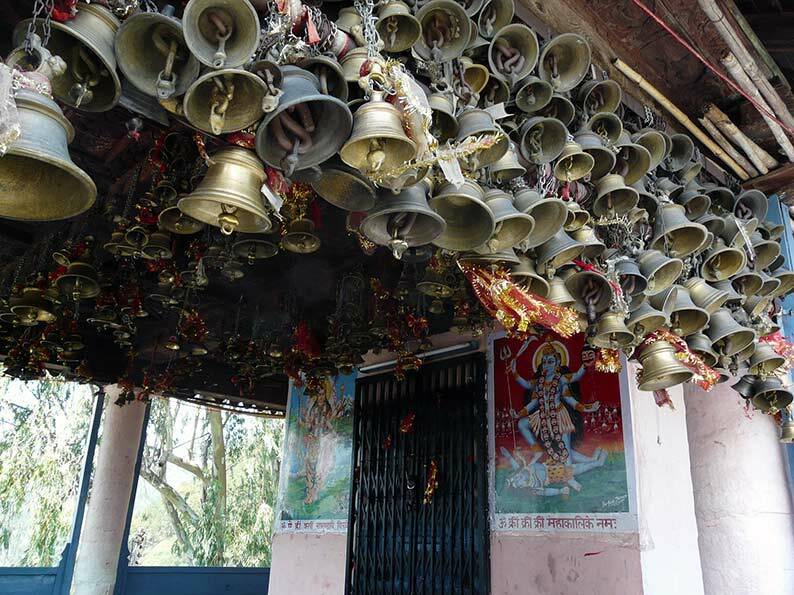 Chamunda Devi Temple is located at the top of Shah Madar Hill. It is a square-shaped temple built on a stone platform. It is dedicated to Chamunda, the fierce aspect of the goddess Durga. The roof of the mandapa (pavilion) is worth a look: it is divided into nine carved wooden squares covered with a myriad of bells as it is customary for devotees to attach a small brass bell so that their wishes will come true. 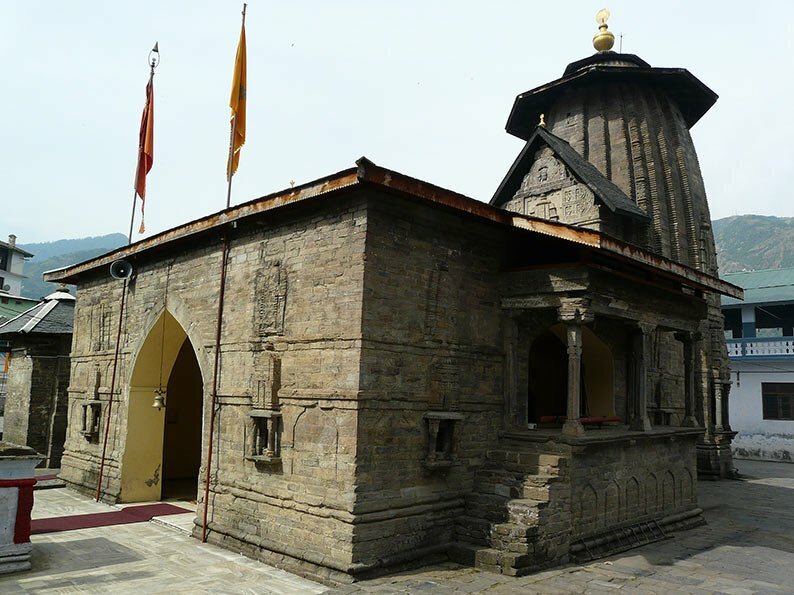 A small shikhara type temple dedicated to Shiva is also located just behind the main Chamunda Temple. If not for the spiritual aspect, the walk to the top of the temple offers a panoramic view of the valley. 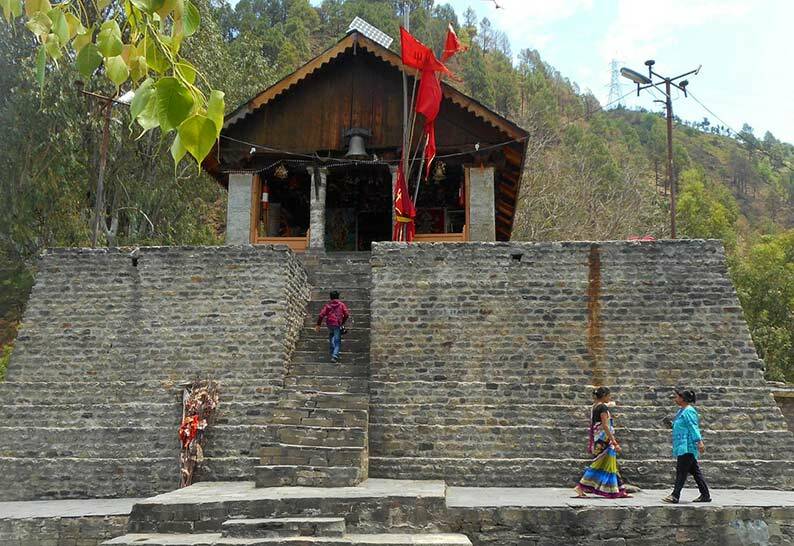 About 600m from the Chamunda Devi temple is the Sui Mata temple, built in honour of the sacrifice of Queen Sui, wife of King Sahil Varman. 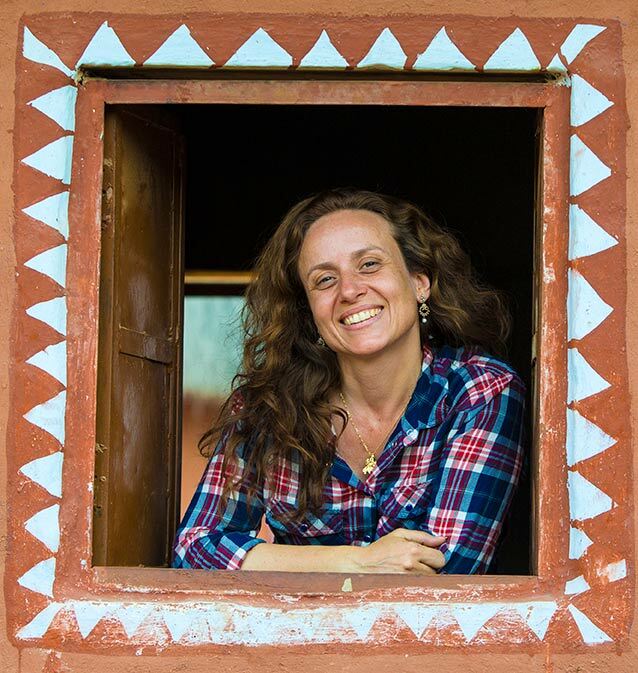 The story tells that the region had suffered from drought for several years, and the king ended up consulting his religious advisers to palliate this problem. The Brahmans suggested that he sacrifices his son or his wife to bring the rain back!. The choice was extremely difficult, but he finally decided to sacrifice his son. His wife could not consent to this and she sacrificed herself in her son’s place. After her death, her body and those of her close maids were buried around the temple. Very quickly, the rain came back to the village and from that moment on, there was no shortage of water for the city. There is a festival organized every year in memory of this sacrifice (see intro). Married women flock to this place with offerings to pay homage to the great queen.